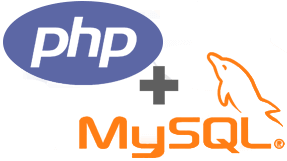 In the world of development technology, PHP and MySQL are recognized as an invincible pair. This amazing combination is significant in the emergence of a new, easy and powerful way to generate dynamic web pages, as well as enable end users to execute different tasks such as Boolean choices and perform numeric calculations as well as other superior functions. This, along with PHP allows developers to create valuable and well-formatted web pages that boost user interaction. However, it’s best to go for the experienced and skilled hands when it comes to PHP web development as they know best how to perform a task in an excellent manner. At Octal Info Solution, we offer you affordable and reliable solutions. Our PHP and MySQL developers are highly efficient at their job and possess great technical expertise useful in creating websites and applications that function smoothly across multiple operating systems with outstanding operating capability. Our company is NASSCOM certified offering PHP website development services all over the globe, while our decade of experience has helped us become a trusted PHP development service provider satisfying myriad of global clients meeting their unique needs. Take your business aspirations where you want them with us. Our services in the arena of PHP and MySQL are feature-rich and we deliver great results working on several platforms like CakePHP, CodeIgnite, Laravel, Yii and many more. The PHP and MySQL services provided by us are compatible with all the different operating systems and support almost all databases and web browsers. With our help of our skilled developers fully customized, well formatted and highly interactive websites are created. Open-source scripting language used by our professionals enable you to apply the codes in a handy and effective manner to build dynamic server-side applications. Our experts are eager to offer you the best services at any time of the day and that’s why our communication channels are open 24/7 connecting you with the right team of technical expert for instant help that is useful in reducing complexity and enhance productivity. Excellent service. Expert skills. Our partnership has been very profitable and pleasant. I'm so glad I started working with Octal. They have the skills I need when I need them, and they have allowed me to finally focus on project management and growing my business. Being a long-time software developer, I'm used to handling all details myself, so I was hesitant to work with an off-shore team at first. But this is my 4th project using Octal. A huge win for me - and Octal! Thanks Priyank, Rohit, Varun, Sagar, and the whole Octal team! 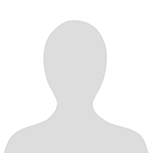 I thank the octal software team, for what they have done for this project. They were timely with response, and the quality of work was on par. Thank you again guys, you rock! !